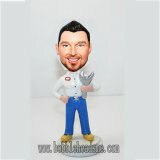 Custom bobbleheads mechanic.Personalized bobbleheads from photo.Bobble heads that look like you! 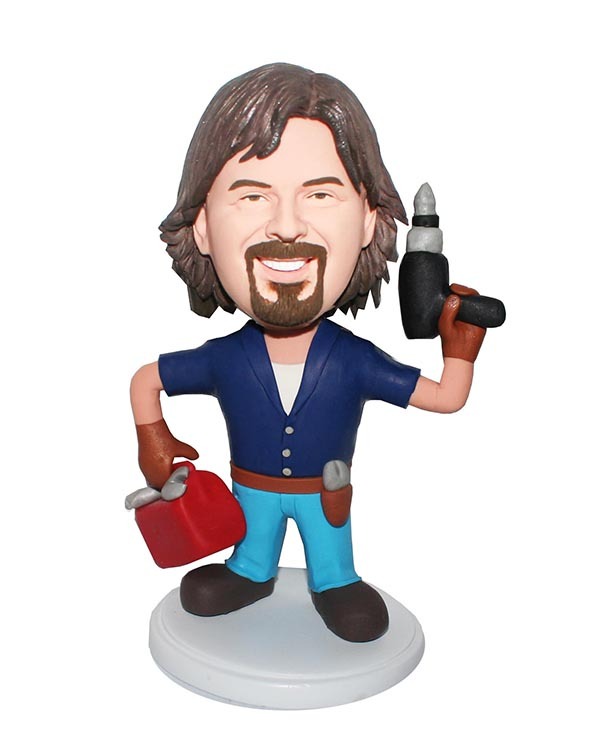 Electrodrill in his left hand, tool box in his right hand and a tool belt around his waist,this custom male bobblehead doll is a construction worker wearing blue jeans and a shirt with gloves. This customized bobblehead is a best gift to show one's appreciation for the workers who devote themselves to their career with their heart and patience. 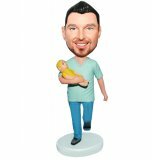 12/9/16 Received bobblehead that exceeded my expectations! Looks exactly like the picture I uploaded and is very good quality. 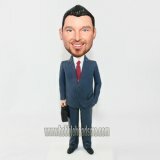 Bobbleheadme.com site was easy to use and navigate. Proofing pictures were sent by email and I utilized chat for a status update. Chatted with Gege who responded quickly and provided excellent customer service! Bobblehead was shipped very fast and nicely packed in a box. 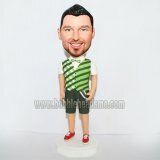 Received bobblehead within 2 weeks of ordering, which included Thanksgiving holiday. YIZHUO Arts & Crafts Co. was easy to do business with and I will buy from them again!